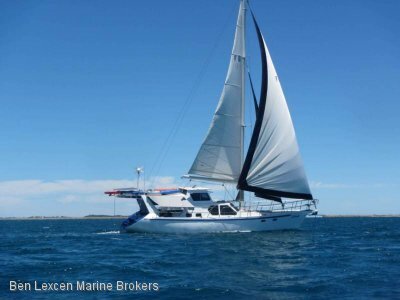 NOW REDUCED - MAKE AN OFFER DESIGNED FOR CRUISING WITH THE ABILITY TO ANCHOR IN SHALLOW WATER RIFTED IN 2014 TWO DOUBLE CABINS WITH ENSUITES FULL SIZE GALLEY DRAFT - 0.9M KEEL UP - 2.4M KEEL . 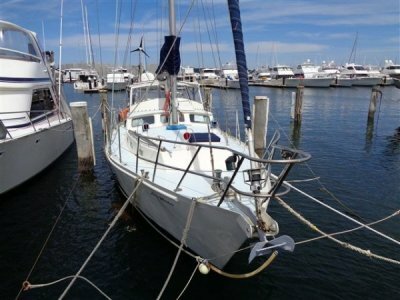 . .
45' JEANNEAU LAUNCHED 1998 COMPREHENSIVELY OPTIONED FOR EXTENDED BLUEWATER CRUISING RIGGED FOR SINGLE HANDED SAILING EXTENSIVE OVERHAUL 2006-2008 2009 HULL PAINTED IN 2-PACK WHITE . . . Designed by David Feltham and built in 1995 by Prout Catamarans on Canvey Island, London. 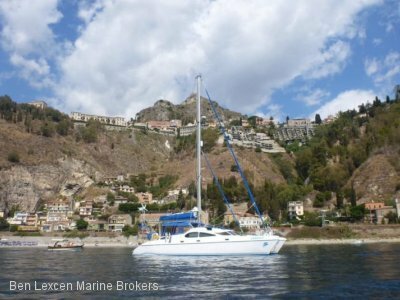 Zarafet is heavily customised as the ultimate liveaboard cruising machine with backups and duplicates for . 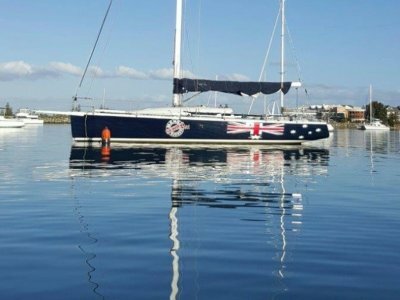 . .
STURDY ALUMINIUM CRUISING YACHT NEW RAYMARINE MULTIFUNCTION DISPLAY NEW RAYMARINE AUTO PILOT NEW LED TV NEW FUSION SOUND SYSTEM WITH OUTSIDE SPEAKERS AND REMOTE CONTROL FOR OUTSIDE NEW FRIDGE . . .
A NATHANAEL HERRESHOFF DESIGN. 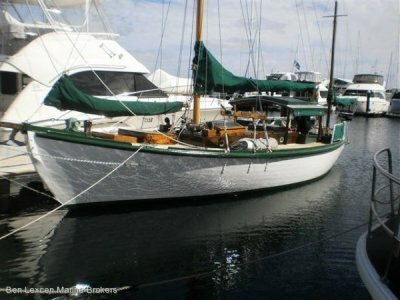 IF YOU ARE A DISCERNING BUYER LOOKING FOR A CLASSIC YACHT THEN INSPECT THIS YACHT. IN 2027 IT WILL BE 100 YEARS OLD. WITH GOOD CARE IT COULD LAST ANOTHER 100 YEARS. . . . 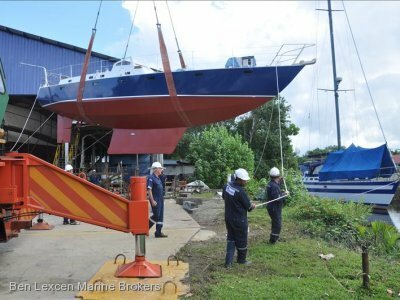 PROVEN CRUISING BOAT SAILED AROUND THE WORLD TWICE RESTORED IN 2011 ALL WIRING REPLACED WITH MARINE SPECIFICATION WIRE LED LIGHTING THROUGHOUT NEW PLUMBING, HEADS RESTORED USING THE ORIGINAL . 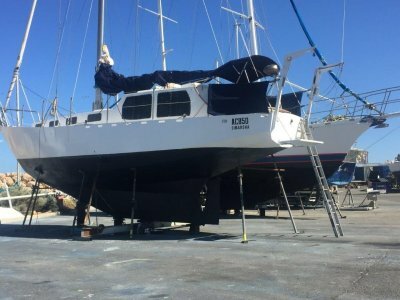 . .
*****OWNER KEEN TO SELL****ALL OFFERS PRESENTED****DON'T MISS OUT***** 42' Boro Benito launched 1996, antifouled this month (November 2017) and ready for a new Owner. Maintained to the . 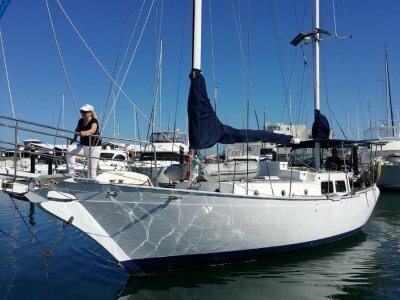 . .
CLASSIC 70'S RANDELL SAILER TILLER STEERING, POWERED BY A 2010 VOLVO 18 HP DIESEL ENGINE LAST SLIPPED OCTOBER 2017 LOWRANCE AND RAYMARINE NAVIGATION ELECTRONICS NEW RIGGING INSTALLED LATE . . . 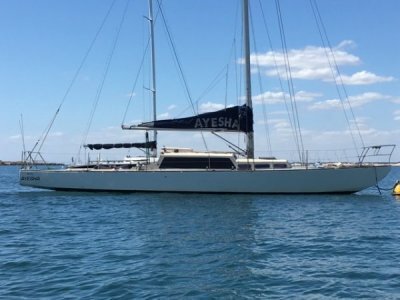 PERFECT FOR LONG DISTANCE OCEAN CRUISING OR FOR LONG TERM LIVE ABOARD REQUIREMENTS IN GOOD CONDITION DESPITE IT'S AGE BRAND NEW HEADSAIL NOT USED PERKINS DIESEL ENGINE WITH LOW HOURS . 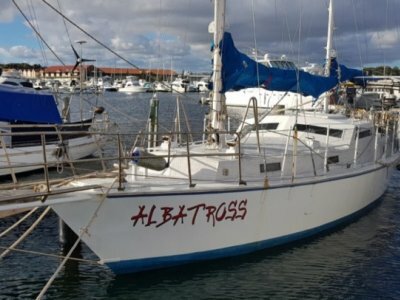 . .
42' STEEL BORO KETCH RIG "ALBATROSS", SOLIDLY BUILT, CAPABLE OF 'BLUE WATER' SAILING- GO UP TO PHUKET, AROUND AUSTRALIA, ACROSS THE PACIFIC, AROUND THE WORLD OR JUST LIVE . . .
FOR COMPETATIVE OFFSHORE RACING CURRENT IRC AND YAH RATING FOAM SANDWICH CONSTRUCTION WITH CARBON REINFORCING THROUGHOUT FITTED WITH TWIN SWEPT BACK SPREADERS ON CARBON FIBRE MAST (2008) NOW . 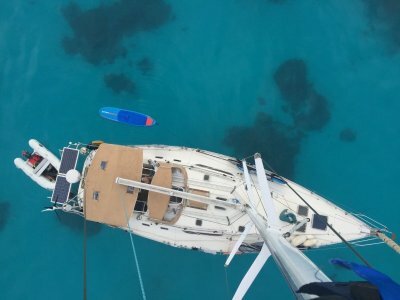 . .
BIG VOLUME CATAMARAN NEW MAST AND STAINLESS STEEL RIGGING (2015) AGM HOUSE BATTERIES (2015) BATTERY CHARGER (2015) WIND INSTRUMENTS (2015) TV'S (2015) AIS RECEIVER (2015) MAST LIGHTS . . . The opportunity to own your very own Schionning is now. 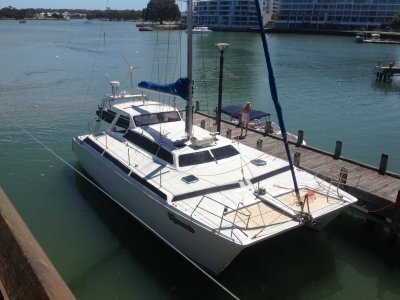 This 2012 built Cosmos 1250 is on the market and could be yours. 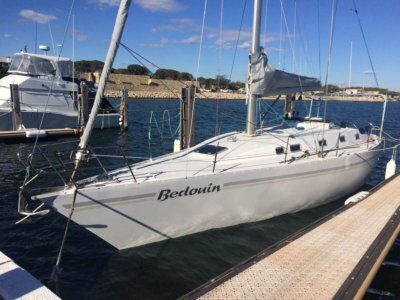 Owner built over a 10 year period in conjunction with Schionning talented . 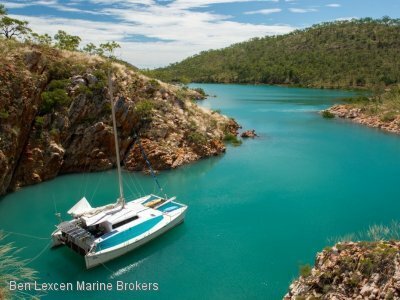 . .
"IT'S THE SERENITY" IS BACK ON THE MARKET. DON'T MISS OUT THIS TIME AROUND WITH AN ELECTRIC MOTOR, YOU WON'T FIND ANOTHER ONE LIKE IT IN TODAY'S MARKET. GREAT . 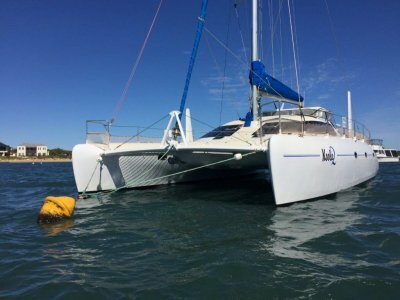 . .
12.5 M CRUISING CATAMARAN FULLY REFITTED AND RE-GLASSED IN 2018 SHALLOW (0.7M) DRAFT PROVIDES ACCESS TO THE MOST REMOTE WATERWAYS EASILY PARKED ON THE BEACH SLEEPS 8 IN COMFORT FITTED . . .